Maureen and Frank Russo were destined to be together. For more than fifty years, they were inseparable. However, when the unthinkable happened, the closeness they shared became Maureen's undoing. Family, friends and even ministers were powerless to break through her despair, until Doris Cantrell entered her life: a loud, crass, intolerable woman with little time or sympathy for others, especially men. Together, the inconsolable widow and uncontrollable social misfit formed an unlikely friendship capable of helping and sustaining each other, not despite their disabilities but because of them. But when another man enters Maureen's life will she be able to take another chance at love and if she does, will her friendship with Doris survive it? 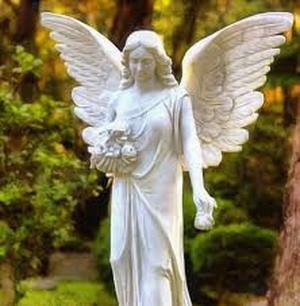 Wounded Angels was born out of the real-life stories of many people I have known who have lost their significant others. When the relationship was especially long and close, a common sentiment expressed by the survivor is that when their soul-mate died, their life's meaning died too. Sometimes, even long after their loss, these people believe that no one can, or should, take the place of their loved-one. When at last they recognize their desire for a new relationship, they sometimes feel physically, emotionally or socially incapable of entering into it. My hope is that Maureen's story will help readers to invest themselves fully into their own relationships while opening themselves up to the possibility of "love after loss". Finding the correct way to write Wounded Angels has been a long journey and one that I am still on. Now, in my forth complete re-write I believe I have found the way to tell it as I need to. The current iteration has Maureen sharing her own story from her own perspective in the first person. More to come. The working title for the book started out as Strange Angels and then Injured Angels but neither seemed to fit. In November, 2016 I conducted a survey to ask help to pick the final title for the book and confirm the kinds of readers it would most appeal to. From that feedback, I selected the current title, Wounded Angels. To thank those who participated in the survey, I drew five names from those who responded and will be sending them a signed and personalized copy of the first edition paperback.